Each week, “Evenings with Enrique” will feature local musicians playing among the collection of 14 sculptures by the famed Mexican-American artist. Guides will be available to discuss the life and work of Enrique Alférez under enhanced lighting and fire baskets suspended from the branches of the Live Oak tree. Guests are invited to purchase mojitos and Latin food provided by local food vendors. 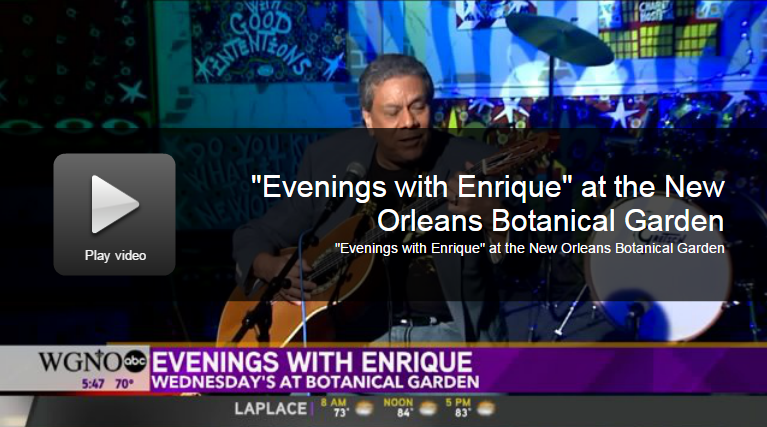 Watch the segment on WGNO-TV.